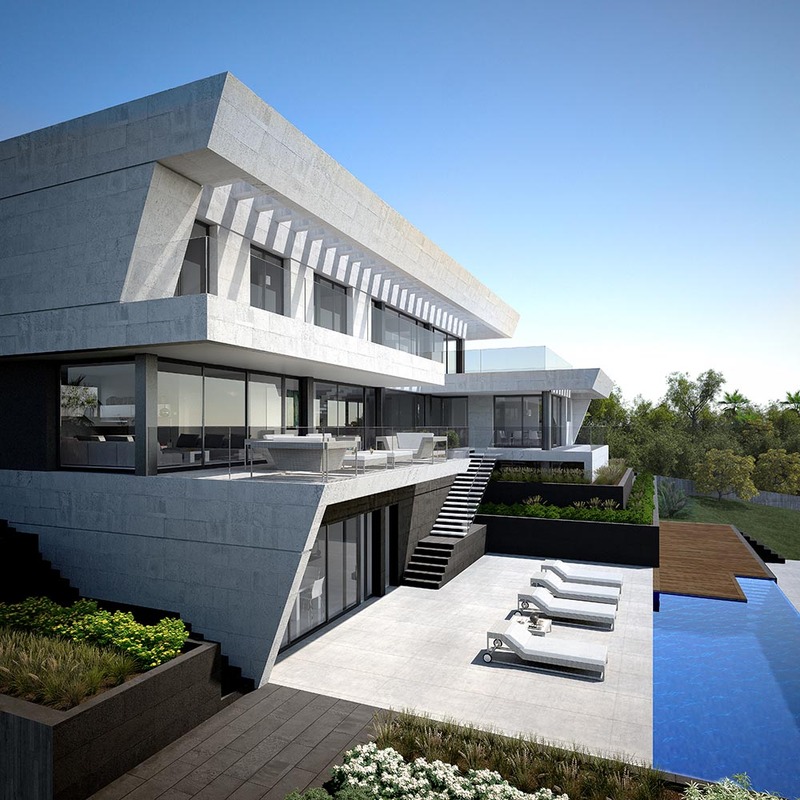 3D Renderings and computer graphics of a detached house with swimming pool in Lloret de Mar, in the province of Girona and designed by the architect Marc Ribas. 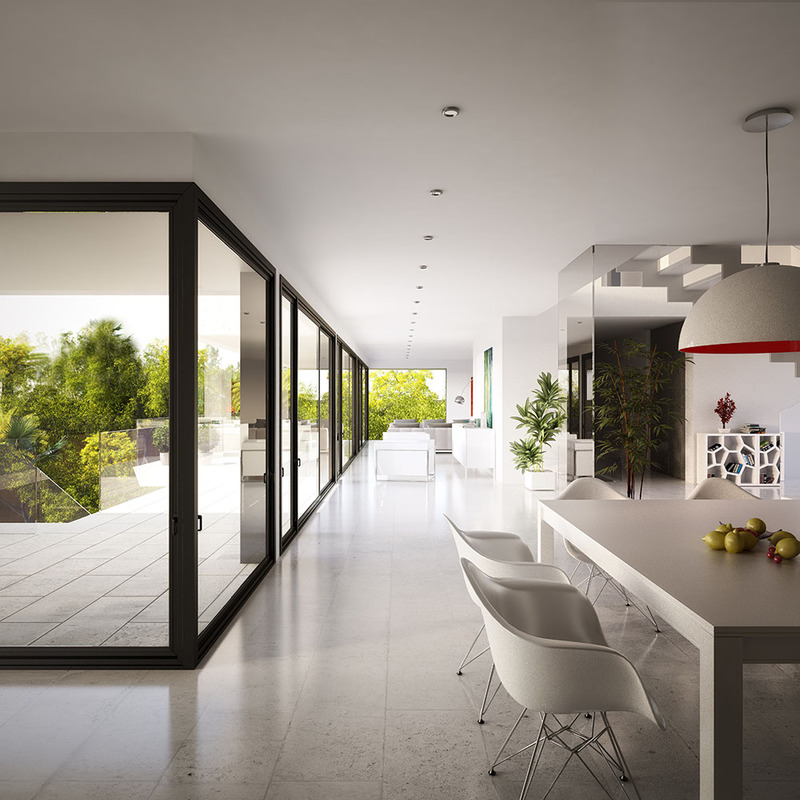 Once more generated images have been a working tool used by the architect to communicate the proposal projected to his client in the most effective way, with particular emphasis on those highlights. 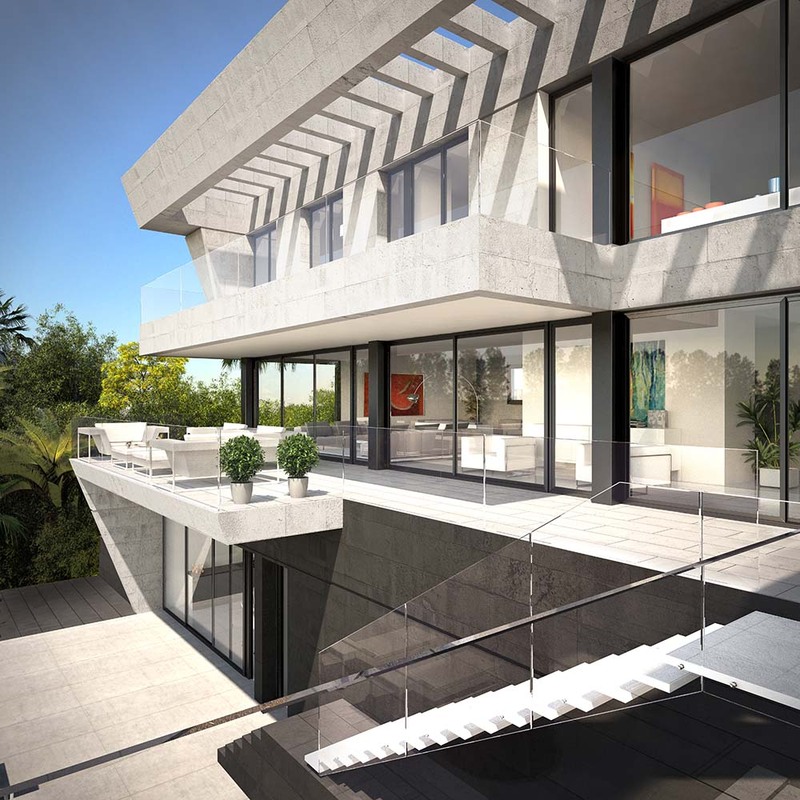 The house, situated on a plot with steep slope, makes the most of the terrain to generate a series of indoor-outdoor spaces that allow you to enjoy the sights and gives the house terraces in direct contact with the landscape. This is a generously sized house that combines the use of materials such as stone, steel and glass, with modern design and straight lines and whose vocation is to establish a permanent contact with the environment in which is located without forgetting the quality of the interior rooms.